Micah Jeager's life is a mess. His folks have split, and now he lives with his mother in the manager's unit of a motel. His mother is seeing a medium to communicate with Micah's older brother, killed in Afghanistan. He had to change schools for his junior year, which made him retreat further into himself, hiding behind his camera—and hiding that he's gay. One sunny day in June, as he's shooting a dead seagull on the shore of Long Island Sound, a mysterious guy appears in a beautiful sailboat. At first, the guy's boat shoes are the image that stays with Micah. But soon it's the person himself, Walker Donnell, who haunts Micah's dreams. Walker's life looks perfect to Micah. His wealthy parents adore him; he has everything he could want; he's gorgeous and generous; and he falls hard for Micah. But he has a secret: Walker is intersex. 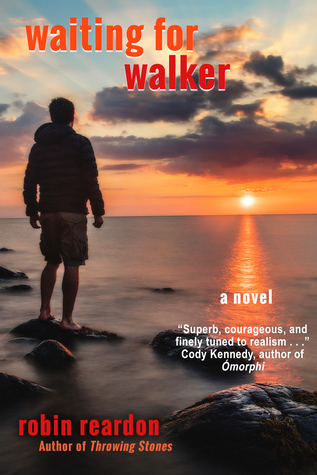 The closer Walker and Micah grow, the more Walker feels a need to be sure of himself in ways he hasn't fully faced before, and now it's his turn to retreat. Micah knows Walker is worth waiting for, so he waits. And waits.